We produce Fast-Build Kits of historical Airplanes. 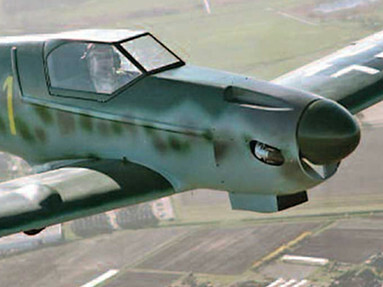 Actual there is the Me 109 Kit in two versions. First Version is the Microlight Kit, build to the german LTF-UL. This Kit could be delivered with a fixed Version of the Landing-Gear so it should fit the new LSA Class. The second one is Experimental Me 109 kit, which is build according to the 49%p/51%p Regualtions known in most countrys. This Plane is aerobatic capable to +6g/-4g.